In a decade, the number of vehicles with at least one lightweight part grew from 11.1 percent of vehicles fixed in body shops to nearly 70 percent in 2015, based on CCC estimate data released Tuesday. 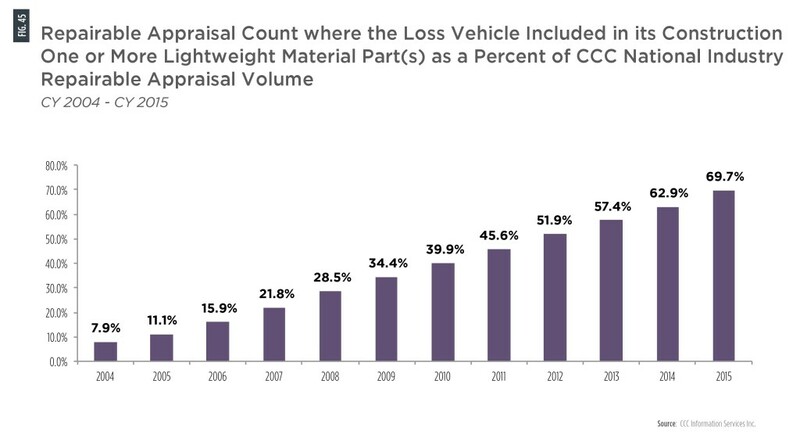 Only 26 percent of the 2015 auto claims tracked by the information provider actually involved the body shop working on the stronger, lighter component, according to the 2016 CCC “Crash Course” study released Tuesday. 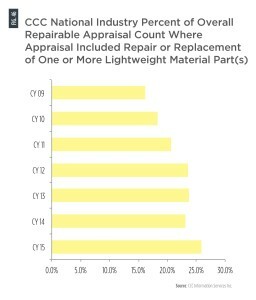 But at a quarter of all work, it indicates that insurers and repairers must grasp just what work is necessary to perform the job properly. 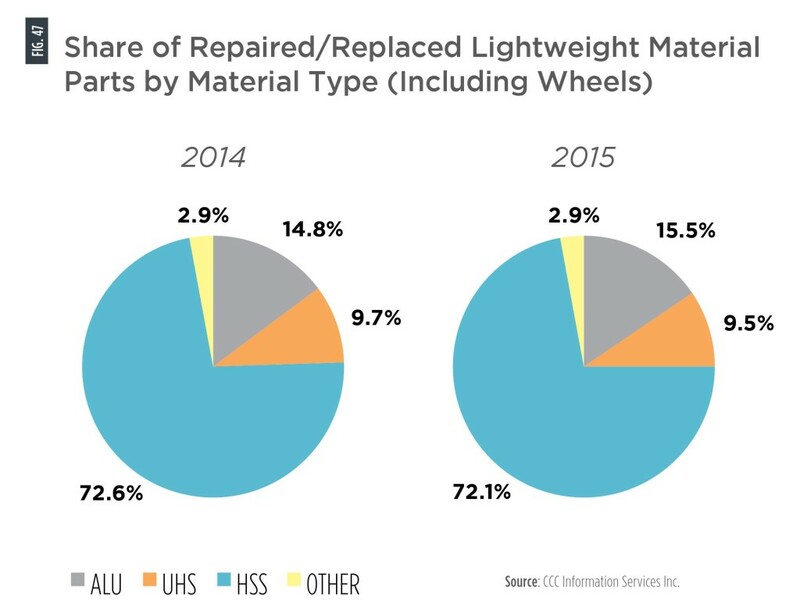 However, others were ultra-high-strength steel, aluminum, or something even more exotic — and those all require special consideration, whether in a repair/replace decision, joining or corrosion protection. 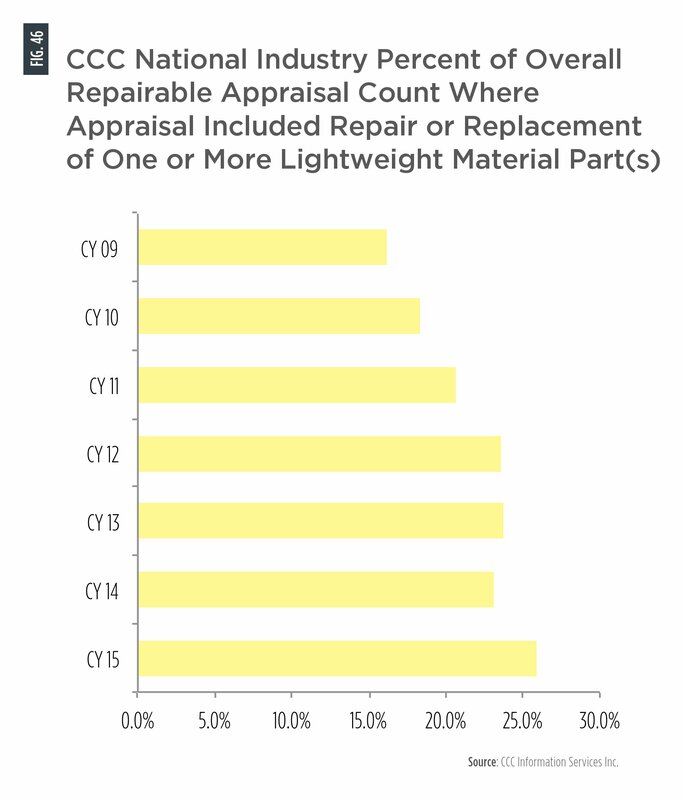 Fenders: 30.8 percent of all fenders involved a lightweight material. Rear body and floor: 6.8 percent. Did you check the OEM procedures on what these components were made out of before you worked on them? Better start if not. 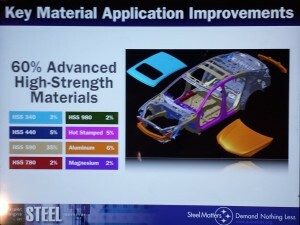 It’s worth noting that around 17.5-18 percent of all lightweighted parts those years included aluminum; ultra-high-strength steel and “other,” which includes carbon fiber, magnesium and steels beyond the gigapascal barrier.